If a quantum tunneling diode can exhibit negative resistance, perhaps a quantum tunneling drive could exhibit negative Q? MEEP might be trying to tell us something. "Basically, the only new principle involved is that instead of power being generated by the relative motion of conductors and fluxes, it is produced by the modial interaction of magneto-reluctance and capacitive directance." I wondered how fluids react in frustum so I did this just for fun. This is non-scientific CGI fluid dynamics simulation. What EM component or components did you use to excite your antenna? I don't think I changed any of that from the original NSF-1701.ctl file, other than changing the distance from the end to 55mm as you suggested. ; Antenna is a half-wave dipole, 55mm from the small end. This is still with the original axes, X being the centerline. The pure copper input is ONLY valid for 2.4 GHz. At other frequencies the input should be linearly ratioed by the frequency ratio, so that the conductivity stays constant. At resonating frequencies higher than 2.4 GHz, you should input a correspondingly LOWER number to keep the conductivity constant. In practice a spacecraft only has Delta-V thrusters mounted in one direction anyway, so you just turn it around and jet the other way to slow down. How do you turn around? Using your tinyEM Drive attitude control thrusters mounted at oblique angles to the center of mass of course! I've been starting with your solution - I'll open the bandwidth and chase it down for my model. Named for its discoverer, who, 55 years ago, was trying to understand why fluids like mayonnaise move so slowly. The Casimir effect some have been relating to the QV effects is related to work with Mayonnaise? I don't believe this is what is happening with the EMDrive. In a simplistic way what the dynamical Casimir effect is suggesting is that the momentum of a relativistic mirror adds sufficient energy to the EM ground state of the vacuum to generate photons. The virtual photons in the most accepted concept of the quantum vacuum, which would be immutable or static, (because there is no real consensus), are just a minimal EM field potential.., no momentum until or unless they interact with a moving object and even then most theorists require the object to be accelerating. Even in Haisch's theory of inertia which tends to lead toward a dynamic or mutable ground state originating in a Machian manner, the background potential of the quantum vacuum remains isotropic from inertial frames, becoming anisotropic from an accelerating frame. Whatever is going on with the EMDrive, it seems far more likely that the dynamics of the boundary conditions inside the drive, together with an asymmetry in the microwave field density, leads to a asymmetry in the transfer of momentum between the microwaves and the frustum. The issue of relativistic velocities from a constant classical thrust resulting in free energy, is a special relativity problem that should wait until we have some proof that relativistic velocities are even possible. Whatever is happening it is new physics, but that does not mean it involves a violation of conservation of momentum as has been argued repeatedly. You have energy going in, in the form of microwaves and energy coming out as heat and kinetic energy or thrust/added momentum. And this all assumes that Eagleworks silence pending peer review and Shell's silence while she is double checking..., both suggests a confirmation of thrust. If you look up "Luminiferous Aether" you find some interesting things. 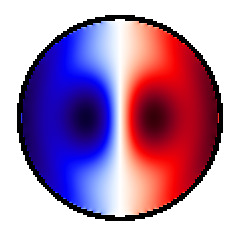 While the Michelson–Morley experiment did not prove that the "Aether" existed, neither did it prove that it did not exist, because Einstein came up with an explanation (the theory of relativity) for observations about the transmission of light that did not require the existence of an Aether to work. And furthermore, that the MM experiment could not have detected the Aether even if it did exist. On that same Wiki page, if you scroll down to follow the link to Aether Therories you see a collection of other explanations as to what this "aether" might be. Among those listed is Quantum Vacuum! Maybe MM's experiment could not have detected it, but the EmDrive effect can? The meep model we are using does not actuallly model the end plates and walls separately, so it is continuous. The description is actually of two solid cones, one inside the other. The larger cone is made of copper, and the slightly smaller inner cone is made of "air". This is the way the meep documentation says to model things like waveguides, though in that case the lengths are infinite. Negative resistance is not "passive" in the sense that getting more power out than in, happens with such a circuit. There is always an additional source of power which provides amplification which in the circuit results in negative R at one specific circuit element. My guess is you could create a result that exhibited a negative Q, since Q can be formulated as a function of resistance, and if you can make R negative, you can make Q negative, however, it doesn't look to me like it would be anything new, novel, or fundamental to the Q calculations done here. To me, it looks like an amplifier put in a circuit to make the sign flip for one component. The negative Q values are a known artifact of the computational model used inside meep under certain conditions. It has nothing to do with physics. Correct. It has nothing to do with physics. 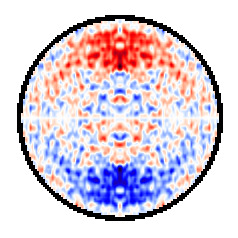 previous Meep models which included a Finite Difference mesh outside the EM Drive, which showed numerical magnitudes of the electromagnetic fields to be 24 orders of magnitude smaller than the fields inside the EM Drive. People (unfamiliar with numerical methods like Finite Difference solutions) were unaware that such numerical methods entail the solution of simultaneous equations and therefore that the magnitude of the fields outside the EM Drive instead of displaying a perfect zero will routinely display very small numbers (sometimes negative) associated with the numerical precision and ill-conditioning of inversion of matrices. Some posters started to discuss in these threads whether these extremely small numerical fields outside the EM Drive were revealing "negative energy". Nothing to do with reality. Everything to do with the numerical solution of simultaneous equations. previous Meep models which included a Finite Difference mesh outside the EM Drive, which showed numerical magnitudes of the electromagnetic fields to be 24 orders of magnitude smaller than the fields inside the EM Drive. People (unfamiliar with numerical methods like Finite Difference solutions) were unaware that such numerical methods entail the solution of simultaneous equations and therefore that the magnitude of the fields outside the EM Drive instead of displaying a perfect zero will routinely display very small numbers associated with the numerical precision and ill-conditioning of inversion of matrices. Some posters started to discuss in these threads whether these extremely small numerical fields outside the EM Drive were revealing "negative energy". Nothing to do with reality. Everything to do with the numerical solution of simultaneous equations. Your correct Dr. Rodal, but it needed to be discussed and resolved even if it is a numerical hiccup. I'm glad it's behind us and the fractals shown in the boundaries of some of the first meep models are as well. We have come a long way to making sure meep can model our models. When we get solid data from the drive and solid data from meep we can begin to compare and run cross checks between the two. I hope the combining of both data sets will give us some tools to dig a little deeper, answer some questions and open up better ones. Yeap, the "fractal" contour images associated with very small numerical magnitude of fields is another example. Another example are Meep Q's of 10 million (due to https://en.wikipedia.org/wiki/Garbage_in,_garbage_out ). In numerical experiments, just as in physical experiments, everything needs to be double-checked over and over.